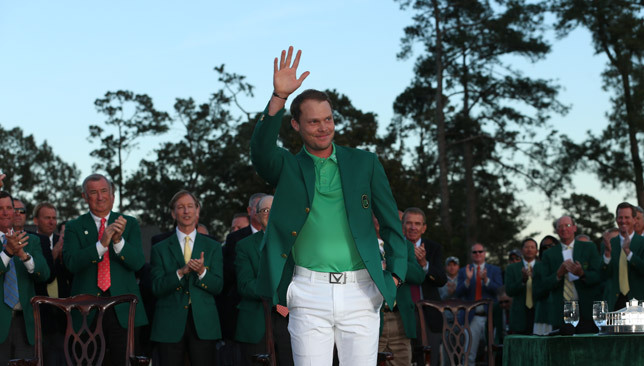 Winning on all fronts: Danny Willett. The first major of the year is in the bag, and it was as thrilling as it gets. For 65 holes, it looked as if there was no stopping Jordan Spieth. And then came the twist in the tale. The Masters lived up to all the hype that always surrounds it in the build-up. The leaderboard had quality written all over it from the opening round, and the golf course was a fantastic test. Some critics may attribute the Englishman’s Green Jacket to the collapse of Spieth, but the simple fact remains – you’ve got to get yourself in the position where you can benefit from such mishaps. Nobody in the field did it better than Willett. In my opinion, a bogey-free 67 in the final round of the Masters when in with a chance, deserves a reward as great as what he eventually got. 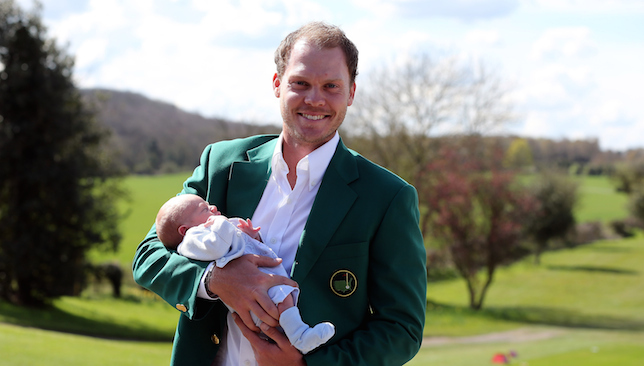 Willett did benefit from something that happened the week before – he became a father. It is well known his son was due on April 10, but arrived 10 days before the due date. That not only allowed him to play the tournament, but also reach Augusta National without any weight of expectation and in very good spirits. He did not come to the Masters with much practice, but as he showed throughout the week, he did not have much rust either. 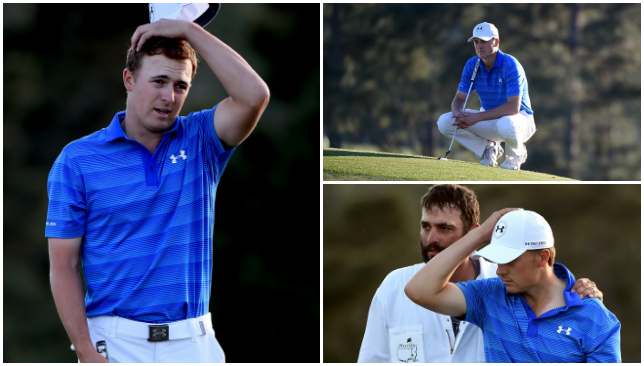 Beaten by two of the three best final-round efforts at Augusta National. In 2010, Phil Mickelson shot 67, this year it was Willett’s turn to do the same. The only other better fourth round by a winner is a 66 by Doug Ford in 1957. The Englishman has endured a tough last few months, candidly admitting that the changes in his personal life have impacted his game. But one of the finest ball-strikers in the game showed he is ready for another surge in his career. He must still be fuming about what happened, but let there be no doubt about his ability on one of the most demanding golf courses in the world. To finish second-first-second in three starts in Augusta National is an awesome record. To be fair to Spieth, just one hole – the 12th on Sunday – did all the damage. He did extremely well to make a couple of birdies after that. However, his big test will come next year when he goes back to Augusta. Playing his last tournament as an amateur, ‘The Golf Scientist’ dazzled the fans with his attitude and game. He did not have the best third round and eventually finished in the 20s, but given the fact that he was playing with an aching hip and with the knowledge that his father is sick (his kidneys have failed and he is about to receive one donated by Mike Watney, uncle of PGA Tour star Nick), it was an astonishing effort. Surprised? Why should someone who missed the cut get such high points? Well, what Els did speaks so much about the character and heart of the man. Everyone knows he is struggling with the yips, and then to make a six-putt for a quintuple bogey on the first hole itself, would have deflated most players. But not Els, he kept fighting, eventually finishing with rounds of 80 and 73. A stupendous effort indeed. A tied 10th finish is always good in a major, but not when you are McIlroy. He had a chance after the first two rounds, but the inexplicable stretch starting Saturday where he went 22 holes without a birdie, killed his chances. The world No3 will now have to wait another year for a chance to complete his career grand slam. It was always going to be difficult to remain at your best form for three successive weeks. The Aussie did show flashes of brilliance every now but could not maintain the hot start which saw him race to five-under at the turn on the opening day. The triple bogey on the 16th took the wind out of his sail. Lefty has an outstanding record at Augusta National and he came into the tournament in decent form. But the three-time champion had a meltdown on the second day that was even worse than McIlroy’s in 2011, or Spieth’s this year. Mickelson kept leaking until he ran out of fuel. Willett won his first major this month. Defending champion Spieth held a five-shot lead with nine holes to play at Augusta National, but saw his hopes of back-to-back titles effectively disappear when he ran up a quadruple-bogey on the 12th. Willett was perfectly placed to capitalise thanks to a flawless closing round of 67 which made him the first English winner for 20 years and the first European champion since 1999. And after rising to a career-high ninth in the world rankings, the 28-year-old has no intention on resting on his laurels, despite having also become a father for the first time just 12 days before his Masters triumph -how wife Nicole giving birth to Zachariah James. “I’m a long way behind points wise but it’s always been a goal of mine to be number one in the world,” Willett told Press Association Sport. “It’s the reason you get up in the morning and go training, to go and hit balls and putt. It’s what you do and how you go about your daily business to try and achieve something great. “Fortunately I’ve now tasted the top echelons of the sport and you just want more. You want to keep dedicating yourself to working hard and playing good golf and hope to be more and more in them positions on a Sunday afternoon at majors, World Golf Championships and normal PGA and European Tour events. That’s what we work for. “We’re going to try and enjoy a bit of normal time off and then get straight back to the job in hand of trying to achieve those goals. “There’s no targets been set in terms of that (number of majors). I think the only target you can set yourself is how hard you work and if you can tick that box and you’re working hard at the right things, if you win a couple of golf tournaments along the way that’s fantastic. “And if that can take you to some of them dreams I guess, not goals, then that would be fantastic. A dream of mine was to win major championships and that’s what I dedicated myself to do, to work hard and gain that self belief it one day might happen and weirdly, three days ago, that’s exactly what did happen. Asked if he would get the credit he deserved in the light of Spieth’s collapse, Willett added: “I don’t really mind what people think, who won or who lost. I am obviously able to sit here in the green jacket and enjoy it. “Part of golf is being able to handle certain things, handle the pressure and hit the right shots at the right time. If I’d have shot 72 and Jordan did what he did it would have been a different story. “I was able to put myself in a position where if anyone did make a mistake we were there to capitalise and that’s we did. It’s what (Nick) Faldo did in ’96 with (Greg) Norman, it’s what happened many a time in golf tournaments around the world. That’s golf, that’s life. “I do feel very fortunate that I was in the position to be able to capitalise on a few of the things that happened to Jordan. He had a bad beat on 12. He might not have hit the best golf shot in the world but the punishment around there is massive. But I still had to be in the position to go ahead and do what I did. Jordan Spieth was within seven holes of joining some seriously esteemed company as a back-to-back winner of the Masters, as only Tiger Woods, Jack Nicklaus and Nick Faldo have previously achieved the feat. Instead, he will now be placed alongside Scott Hoch, Rory McIlroy and Greg Norman as suffering one of the most spectacular collapses in Augusta history. Arguably, Spieth’s is the most shocking, given his metronomic proficiency around the course. Hoch, Norman and McIlroy had never worn the Green Jacket before they self-destructed, for Spieth he’s looked mostly unbreakable every time he’s set foot on the Georgia fairways. Hiccups during his second and third rounds this year gave his rivals an outlet but, bar McIlroy on Friday and the unheralded Smylie Kaufman (an unlikely winner) on Saturday, nobody was able to put significant pressure on the Texan. In the end, the pressure all came from within. Bogeys on 10th and 11th displayed a semblance of nerves from Spieth but it wasn’t as if anyone below him was scoring with any great frequency to directly influence the matter. The real body blow was what transpired on 12 – Golden Bell, or ‘Golden Hell’ as it has been renamed by some of its victims. Nicklaus and Gary Player both dropped shots there to surrender the Green Jacket in 1981 and 1962, respectively; ‘Towering Inferno’ Tom Weiskopf melted with a 13 in 1980; in 1985 Payne Stewart set the template for Spieth by hitting Rae’s Creek twice and finishing with a 9; while Woods wrecked his chances of a Grand Slam in 2000 by triple-bogeying it on day one. Even in catastrophic defeat, Spieth cannot escape history. As he admitted, he rushed his tee shot on a hole he had birdied just 24 hours earlier. It then got considerably worse. But this wasn’t any great risk-taking, he was still comfortably ahead of the chasing pack. Instead four days of indifferent iron play erupted on one hole. After battling back with two birdies, to spark visions of a fairytale finish, Spieth’s challenge then died with a bogey on 17. Immediately interviewed after, Spieth was close to tears, he spoke about being confident of being part of a “closing team” and then later on at the presentation ceremony he stumbled backwards in presenting Willett with the Green Jacket. But while his competitive spirit was manifested in its most negative way – winning was the only option, defeat too much to bear – was he being a little too hard on himself? The reality is Spieth’s no rank outsider wasting his only ever chance of winning. He’ll be in contention for at least the next 10-15 Masters. He’s not a huge driver of the ball (75th on the PGA Tour), his game is about touch and class on the greens; injuries, physical ones at least, shouldn’t be an issue. What transpired on Sunday is another chapter in his own, ‘how to win majors’ mental guidebook. History tells us, the best tend to bounce back, learning from such folly. Spieth knows he lost it as much as ice-cool Willett won it. But his chances to claim more majors will invariably fall well into double figures and, as he showed last year, win them he can. He admitted it will be tough to put behind him and the healing could take time, but overthinking what he did and how much it matters would be a grave mistake. History, and Spieth’s place in it, should be as much of a guide for the 22-year-old, as a pressure.